1. Are you ready to hire remote? I’m not here to judge you. People make their first growth hire for all kinds of good reasons. It’s just important to be honest with yourself about whether you’re hiring because you lack the time, the expertise or the motivation to do it yourself. Another thing to think about is whether your business and product are at a stage yet where you can take advantage of a marketer’s skill set. Hiring a marketer to grow your business when you don’t already have customers who get value from your product is like trying to fix a bug in your software by upgrading your laptop’s RAM. And can you afford to pay the marketer? A good rule of thumb is never to hire someone without having 6+ months salary for them in the bank. If you have a stable SaaS business, you could get away with more like 3 months but remember, this is someone’s life you’re playing with! Finally, remember that your new hire won’t be productive on day one. It’ll take anything from 2-8 weeks before they save you more time than they cost you. So remember to factor in the time you’ll need to onboard the new hire and get them up to speed. It’ll probably take about 3 months to make your first marketing hire. Sometimes it can take as little as 2-3 weeks, but often it can take 6+ months. Bear this in mind. You should spend time looking at your business and where you expect to be over the coming months and years. How exactly does the person you’re hiring fit into this role? Will they be working full time? Part time initially with the aim to go full time within a few months? It’s ok to be flexible on this when you talk to candidates. Things change and life is messy. But you should go in to these conversations having done the legwork. You’ll also need to work out whether you can hire the person as an employee, a consultant, or perhaps use a third party payroll solution to handle contracts etc. Another important but often overlooked step is to immediately begin documenting your work and making it easy for your new hire to be productive when they start work. 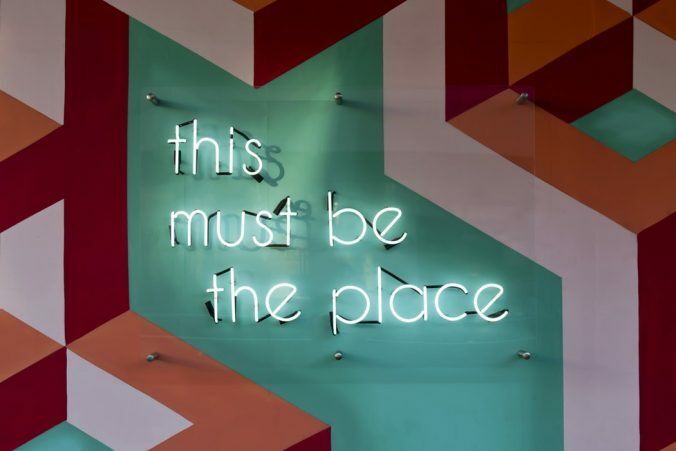 Especially if you’ve been working on your own or with a friend, it’s important that you put the tools, structure and culture in place to make your remote hire comfortable and successful. For an excellent guide to setting up a heathy remote culture and managing remote employees, check out this guide by Andreas. Have you managed a (remote) employee before? If not, it’s worth reaching out to someone who has done so, and asking for mentorship/advice. Similarly, if you aren’t an excellent marketer yourself, you’ll want someone who is to help you define the job description, adverts and help you appraise candidates. Hiring a remote marketer isn’t like hiring a developer. It’s super, super easy to find a remote marketer who will work with you. But extremely hard to convince a good remote marketer to work with you! To make matters more complicated, good marketers rarely have to actively search for a job and bad marketers are often very good at making themselves appear to be good. So you’ll want to put together job description and application process which weeds out low quality candidates and attracts high quality ones. When it comes to this stage, more information is always better than less. Check out this list of remote company profiles on KeyValues.io for an idea of the kind of culture and working atmosphere topics prospective employees are interested in. 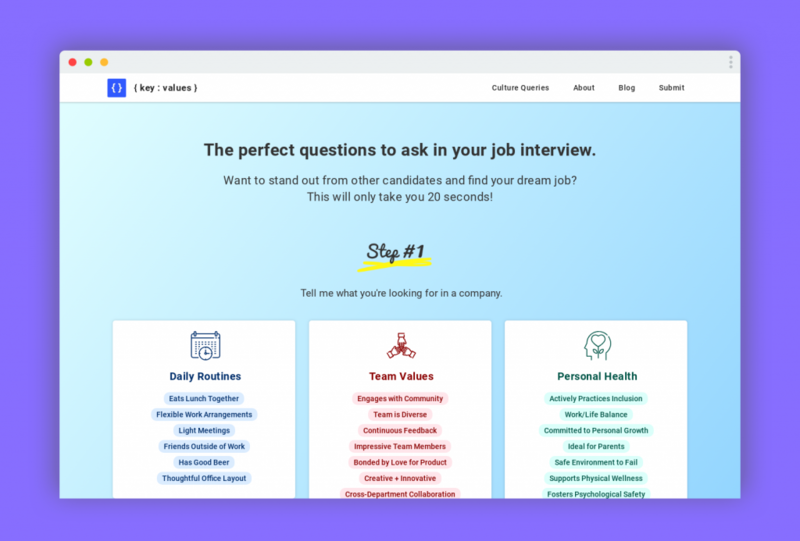 The wonderful Lynne Tye at KeyValues.io has an amazing list of the most important questions for candidates to ask… But you can use them to prepare as well! Also, put a lot of thought into the contents of your job description/requirements. Make it clear where there is flexibility and where there isn’t. If you need someone who is fluent in English, say so. If you think SEO knowledge might be important but you’re willing to work around it, say so as well! The best marketers know where their weaknesses lie and, if you ask for skills in multiple highly specialised fields like SEO or performance marketing, they’ll probably assume it’s not a good fit for them. Use diversity to your advantage. Making it extra obvious that you’d like to hire a diverse team and welcome applications from diverse candidates is a) the right thing to do anyway, b) the only way to set up a healthy culture long term, and c) a way to get access to a pool of high quality but overlooked talent! When it comes to compensation, remember that an excellent marketer working a few hours per week will still be more effective than someone doing the wrong thing for 40 hours per week. If you’re on a low budget, I strongly recommend maximising the quality of the hire, not the quantity of hours worked. Finally, put together an application process which is arduous enough to stop you receiving 1000s of useless applications, but short enough for the ‘best’ candidates to still apply. Ask for links and proof. A portfolio, examples of success they’ve had before. Don’t ask for a CV. CVs aren’t worth the storage space they take up. For more detail on this, check out Josh Pigford‘s excellent article on the subject of how they hire remotely at Baremetrics. Here‘s a list of some of the best places to share your job posting. You should also use communities like Hacker News, Twitter and IndieHackers.com to your advantage. Another great source of candidates is referrals. Reach out to people you admire and ask them if they know anyone who would be a good fit. Be aggressive! If you know people in the industry with a following, ask them to share your job posting as well. Most people I know will do so, if asked nicely. Viewing hiring as a proactive ‘hunting’ process rather than a ‘sit back and wait’ process will be much more likely to yield results. Remember – if things go well you could well be in close contact with and paying this person for the next ~10 years, so it’s worth putting the effort in today! As I mentioned before, if you’ve never hired someone before and/or aren’t an experience marketer yourself, reach out to someone with the experience you’re missing and ask for their help! When you have some candidates you find promising, reach out to them for an interview. It’s important to give them a clear idea what the process will look like and how long you expect it to take. If at any point in the process you have a bad feeling about a candidate but can’t pinpoint what the problem is, listen to your gut and pass. Judging people is pretty much the only time you should always trust your instinct. Anyone who doesn’t make the interview stage should receive an email thanking them and encouraging them to check back for similar positions in the near future. It’s fine to automate this email. An excellent example of a ‘no thanks’ email, stolen from the Baremetrics blog. Anyone who you get on a call with but won’t be offered the position should be told so via call or a personalised email. It’s never worth burning bridges and they deserve the feedback. You’d be surprised how valuable some of these relationships later turn out to be. The next steps are onboarding and getting the hire up to speed. I’ll be writing about this in the near future, but a great source of information is Andreas Klinger’s article on managing remote workers. Consider hiring the person as a freelancer or consultant for a specific project first. This gives you both a chance to assess the fit and reduces risk. Put some thought into explaining how to work with you as a person*. *The best manager I ever worked with used to give all new hires a one-page description of his weaknesses, strengths, and quirks (not as an excuse, more like a user manual).